Band members: Jason Scott (lead guitar), Dwayne Lawrie (drums), Russell Pinkie (bass), Ashley Dargen and Bunna Lawrie (founder, singer/songwriter and rhythm guitar). 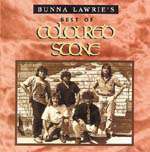 Coloured Stone is from Koonibba Mission, west of Ceduna in South Australia, and was formed in 1977. 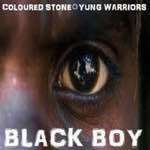 Black Boy (1984) and Dancing in the Moonlight (1986) have become "classic contemporary Aboriginal anthems" [[#1 'Rare gems play again', Koori Mail 494 p.55]]. 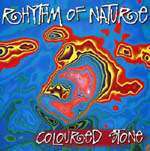 Koonibba Rock was named after the sacred rock hole corroboree ground at Koonibba in South Australia, home of the band's leader Bunna Lawrie. 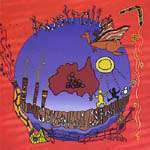 The album contains a compilation of Koonibba Rock & Island of Greed.